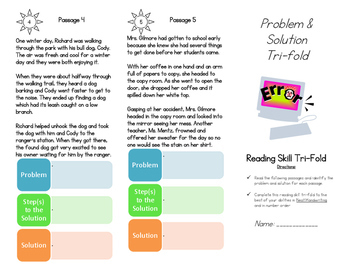 Study the reading skill: PROBLEM & SOLUTION with this handy tri-fold. 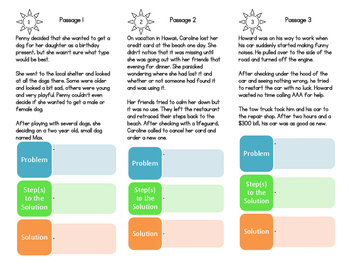 This brochure-style worksheet has five different reading passages and graphic organziers that allows your students to identify the problem, the steps to the solution, and the solution itself. 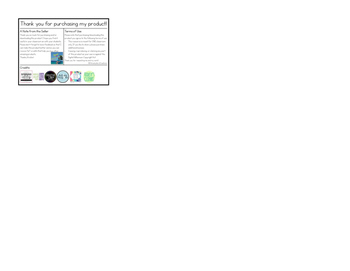 Perfect for assessments, extra practice, guided instruction, or whole group discussion.